From "America's librarian" and NPR books commentator Nancy Pearl comes an emotional, "Anne-Tyler-esque" (Library Journal) debut novel about an unlikely marriage at a crossroads. George and Lizzie are a couple, meeting as college students and marrying soon after graduation, but no one would ever describe them of being soulmates. George grew up in a warm and loving family—his father an orthodontist, his mother a stay-at-home mom—while Lizzie was the only child of two famous psychologists, who viewed her more as an in-house experiment than a child to love. After a decade of marriage, nothing has changed—George is happy; Lizzie remains...unfulfilled. But when George discovers that Lizzie has been searching for the whereabouts of an old boyfriend, Lizzie is forced to decide what love means to her, what George means to her, and whether her life with George is the one she wants. 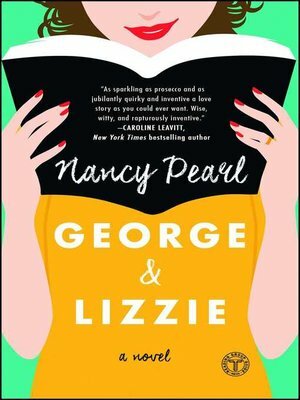 With pitch-perfect prose and compassion and humor to spare, George and Lizzie is "a richly absorbing portrait of a perfectly imperfect marriage," (Amy Poeppel, author of Small Admissions), and "a story of forgiveness, especially for one's self" (The Washington Post).